I have to say, isn’t Ashley’s new little bundle just the sweetest!!!! So happy for her and her family!! 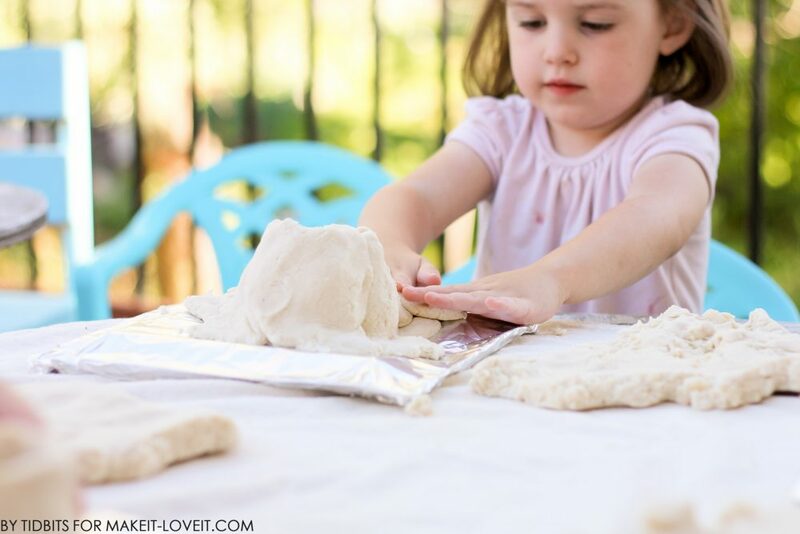 You know, this week I just kept thinking to myself that I better get this post sent to her to put up so she doesn’t think she needs to come up with some crazy genius craft and leave us all wondering how she does it all, with a new baby and everything. Am I right? Enjoy that baby Ashley! (But keep the updates coming on instagram – wink). So, I imagine you’ve heard the phrase “Oldie but Goodie”. I keep running across it lately, especially in the bloggy-blog world. Must be a new trend . . . . I mean old . . . . . or whatever. 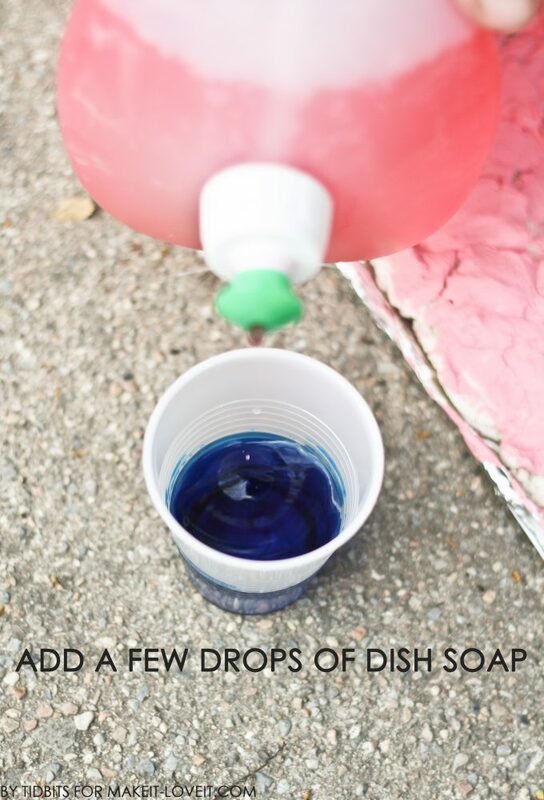 Anyway, I bring you a project for your kiddo’s (or you I suppose), that is most definitely an “oldie but goodie”. I call it an “oldie” because I am getting old (30 this month!) and I distinctly remember doing this in my 3rd grade class. I call it a “goodie” because it must have been pretty good to remember all this time. But in all truth, I picked an “oldie but goodie” to share because my baby has decided to not sleep through the night any more and my brain is tired and I couldn’t come up with an original idea at the moment. 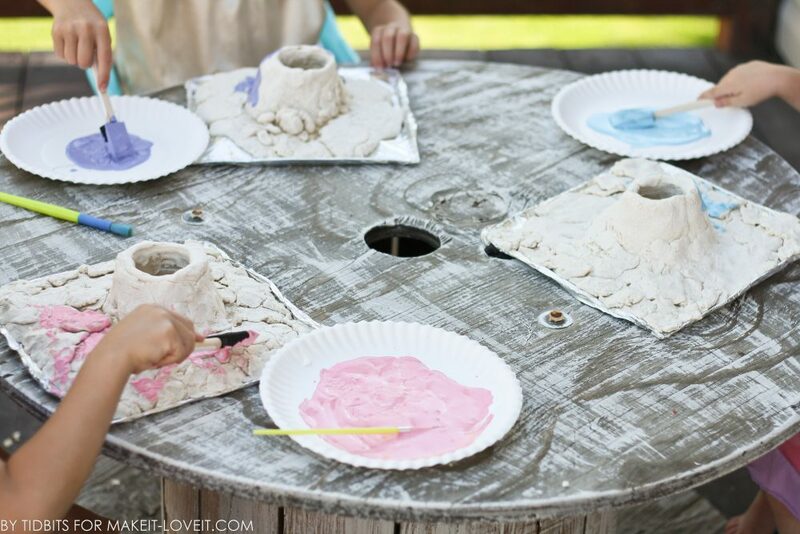 But nonetheless, here is a fun project that will occupy the little ones during activity time for at least 3 days!! 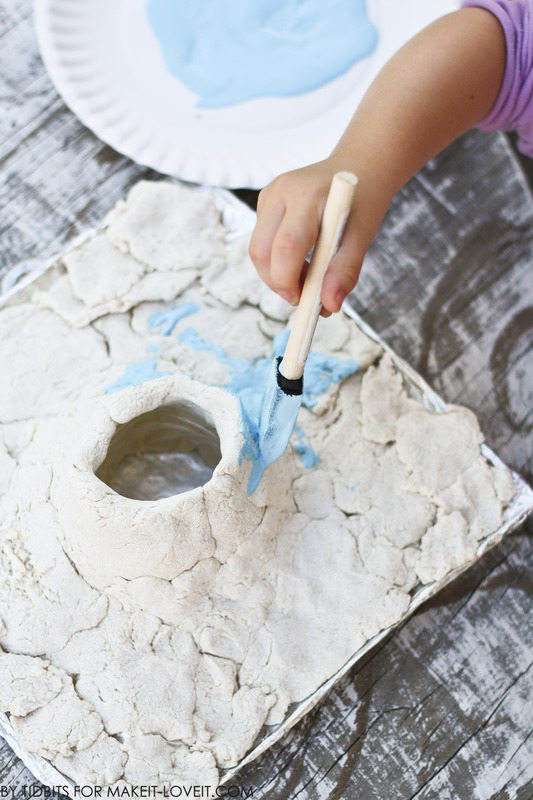 A project that will include a sensory experience, creativity, and discovery – ALL IN ONE!! A project that is sure to “BLOW UP” summer boredom. 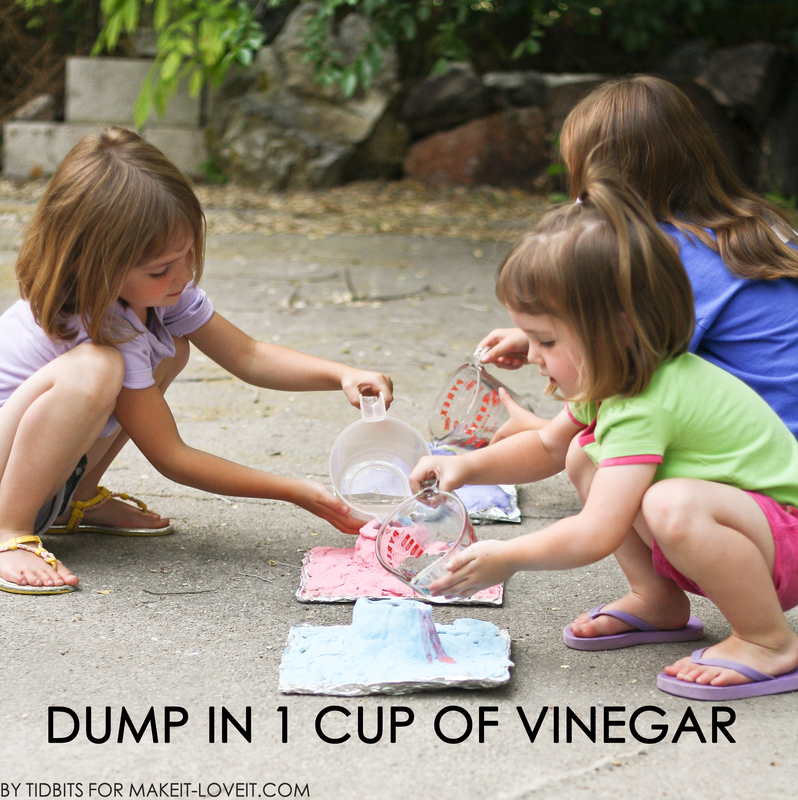 Boy or Girl, your kid is going to LOVE this activity!! My kids range from 7 to 3 years of age, and it was all 6 hands on deck for every part of this project. Each one could be equally involved in every step, and they all had so much fun!! Me included!! 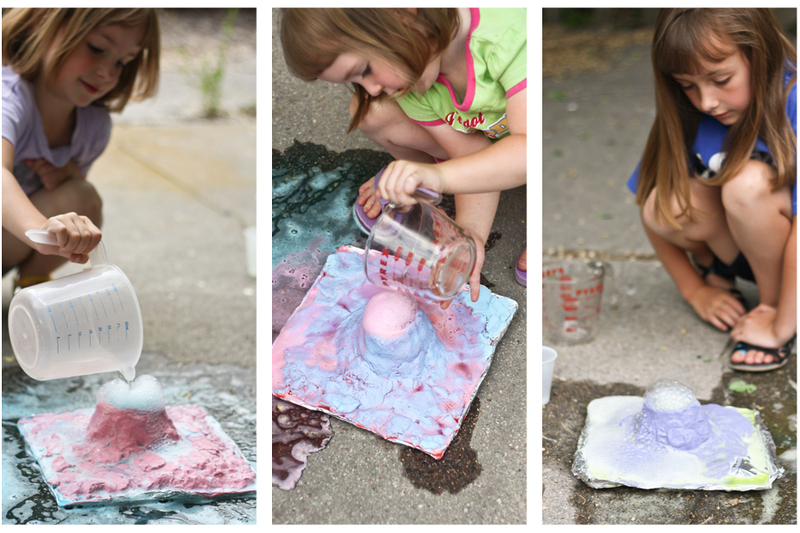 And believe me, my girls “exploded” their volcanoes again and again and again……. Pure fun! 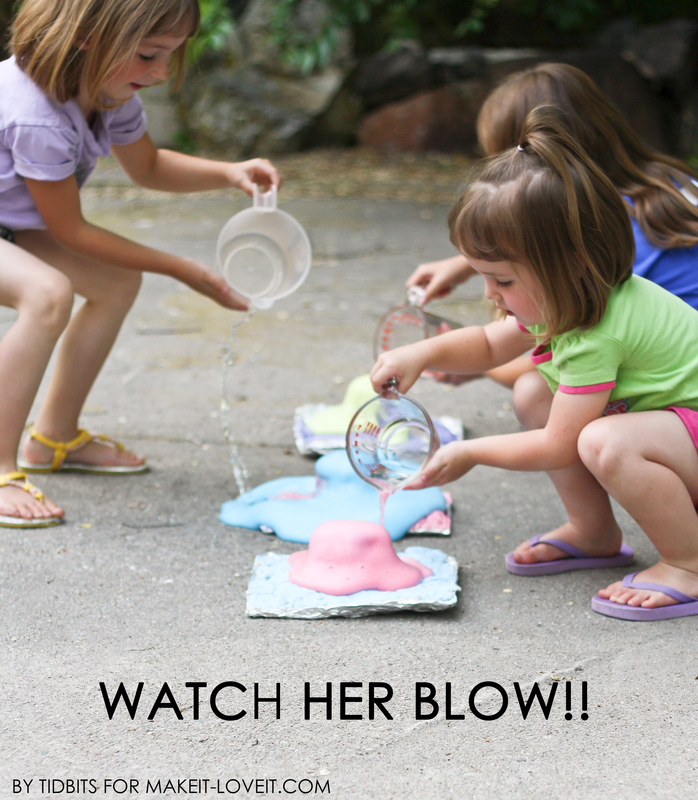 I am going to walk you through each step in helping your child make his/her volcano – and how to blow it up! 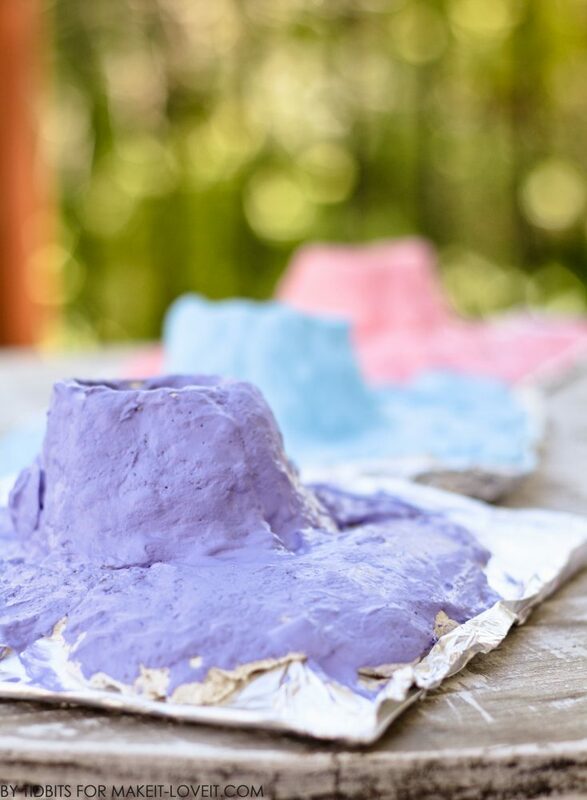 **Proceed to the end of the post if you would like a fun learning printable about volcano’s for you and your child to work on. Let’s get started!! 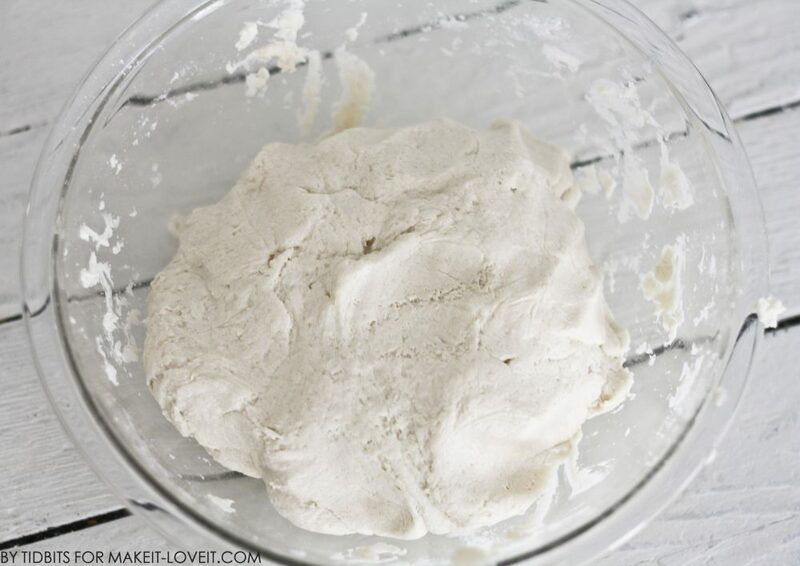 Making the dough: I tweaked and tested the recipe and settled with the following measurements for the perfect amount of dough for 1 personal sized volcano. (I use gloves for everything. I hate yucky stuff in my nails) And there you have it! Enough dough for 1 volcano. 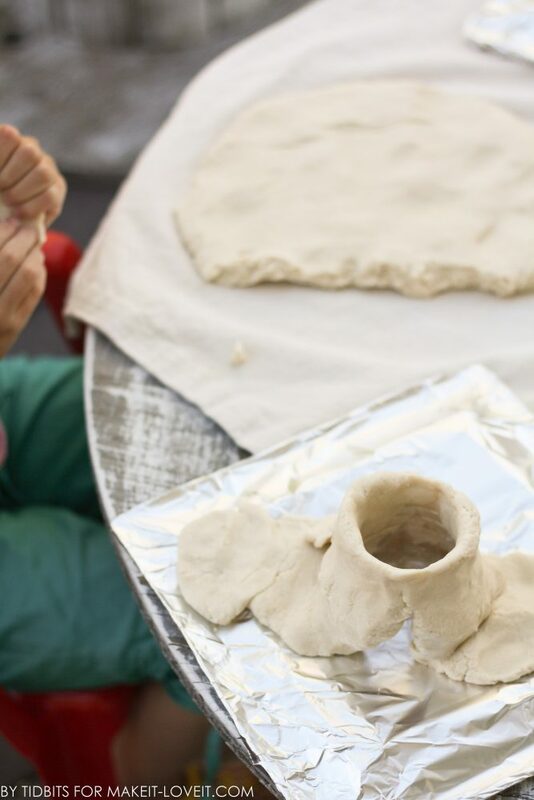 Pastry Cloth – This is totally optional but it worked awesome for this project. 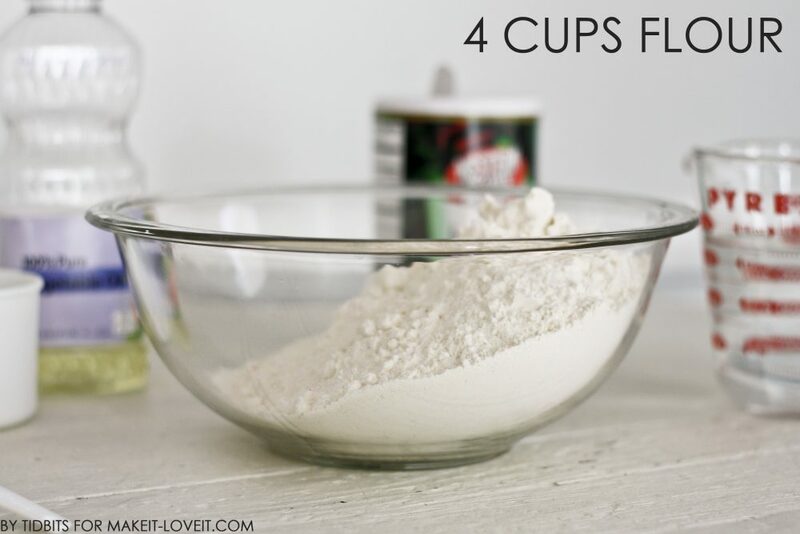 See my tutorial here. 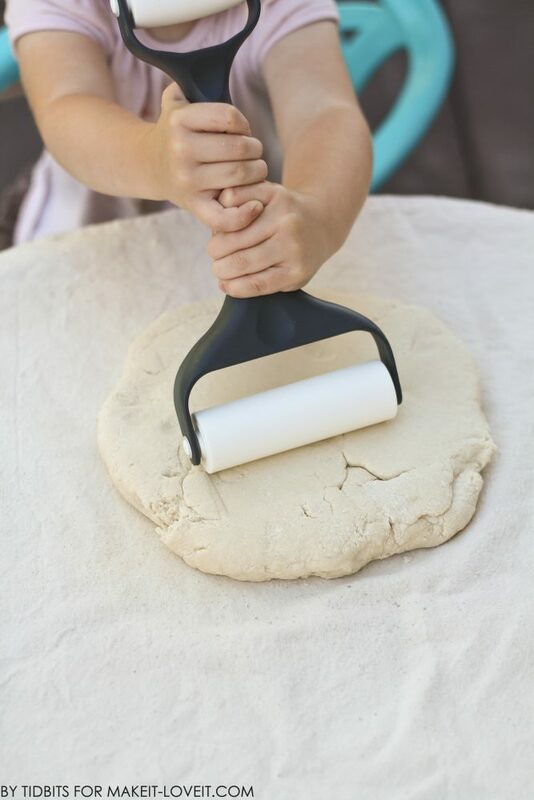 Rolling Pin – Optional as well, but the kids had fun with it. 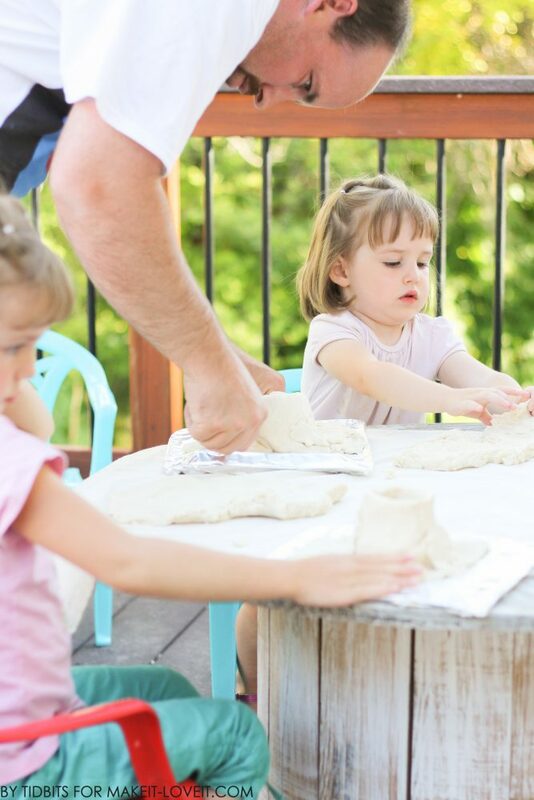 Hand the dough to your child, and let them roll it . . . .
…and smoosh it out to their hearts content. 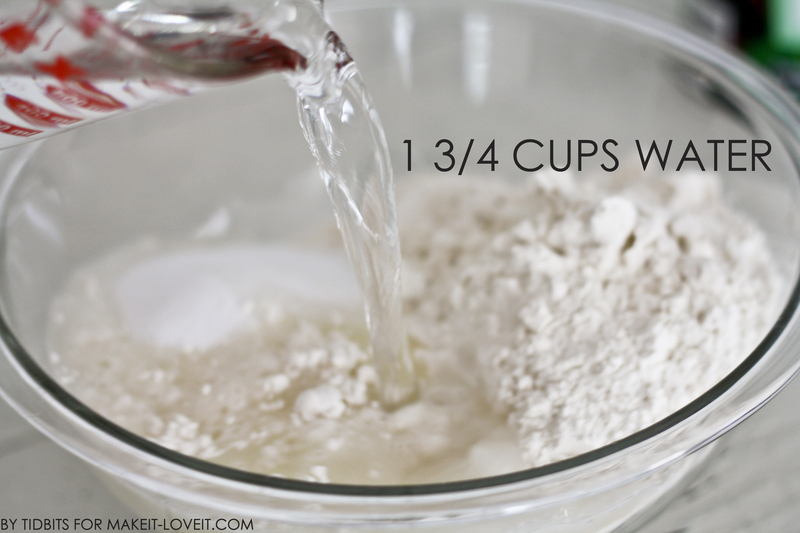 With the bottle centered on the plate, have them shape flattened dough around it and slightly inside the top edge of the water bottle. 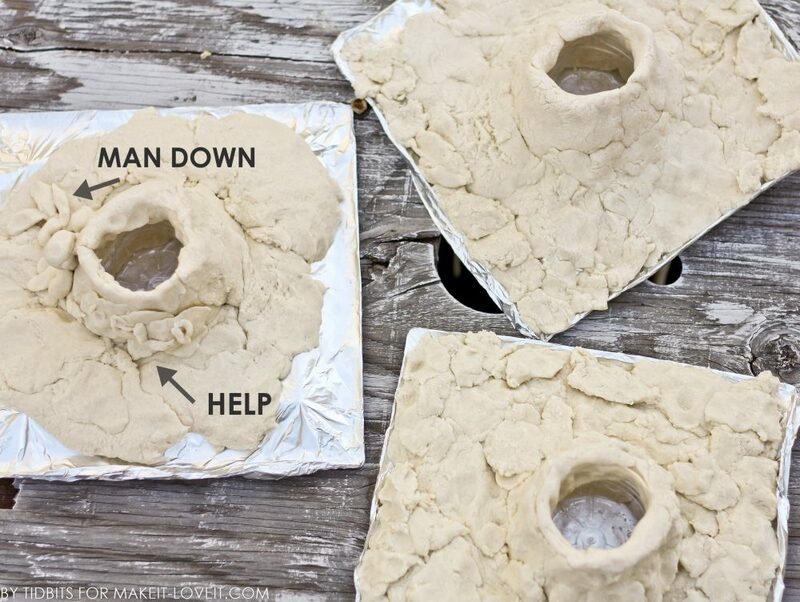 Be sure to leave the hole open in the water bottle. My youngest two needed a little help getting this started. But the 7 year old did great on her own. 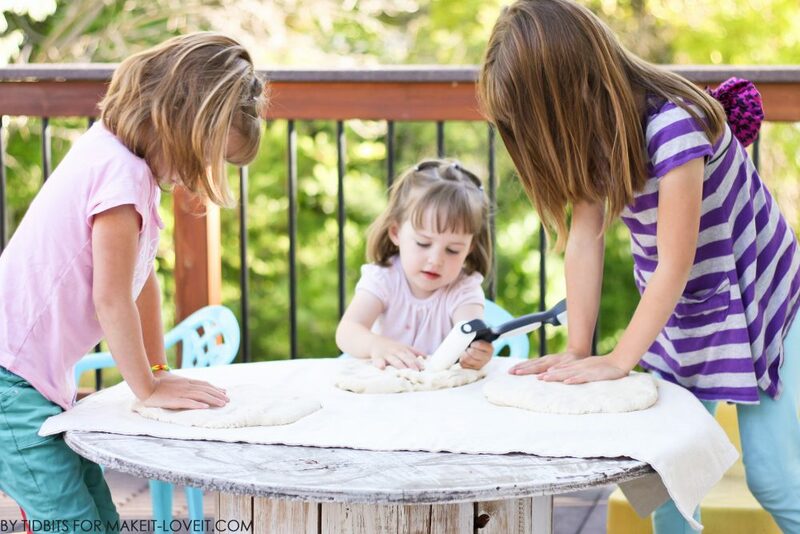 Once their dough is formed around the bottle, let them take off with their creativity and smoosh the dough wherever or however they want. This was 3 year old heaven. But of course, the oldest couldn’t leave well enough alone. (See picture below). 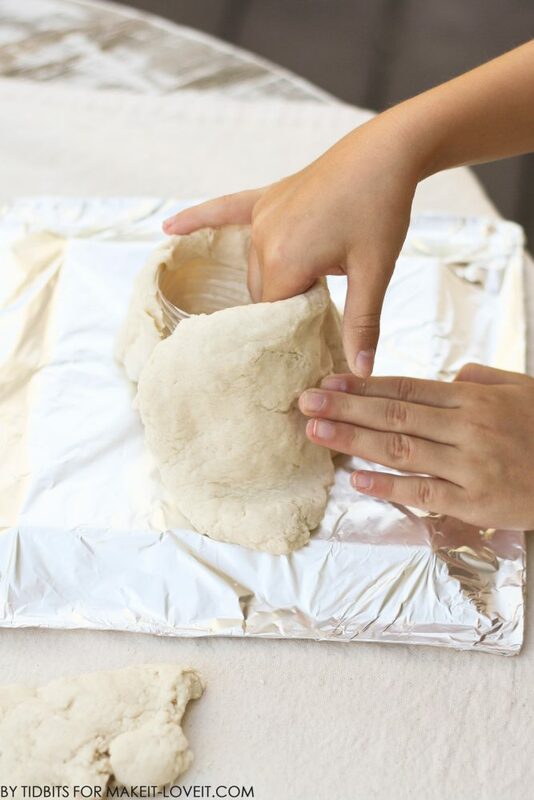 Once the volcano’s are shaped and formed, let the dough dry. 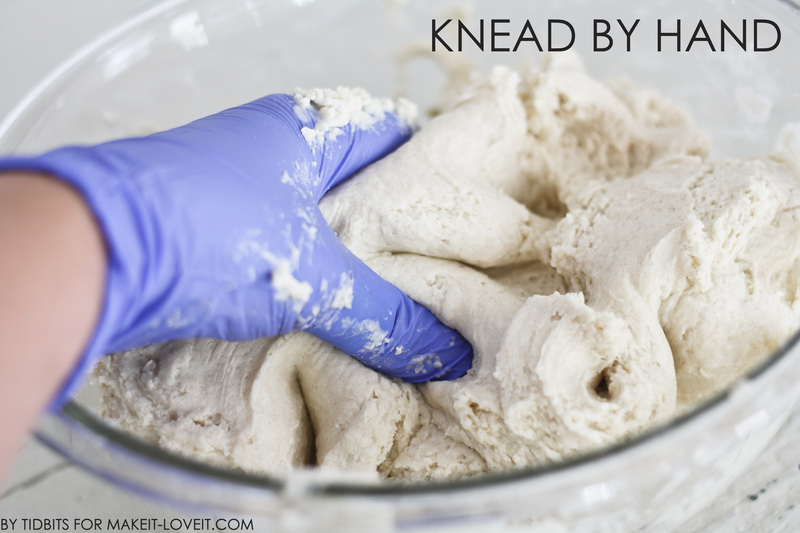 It took the better part of 2 days for our dough to be solid. Painting the Volcano: This was my favorite part. But then again, I love to paint anything ;) We used whatever craft store acrylic paint we had on hand, and some foam brushes. 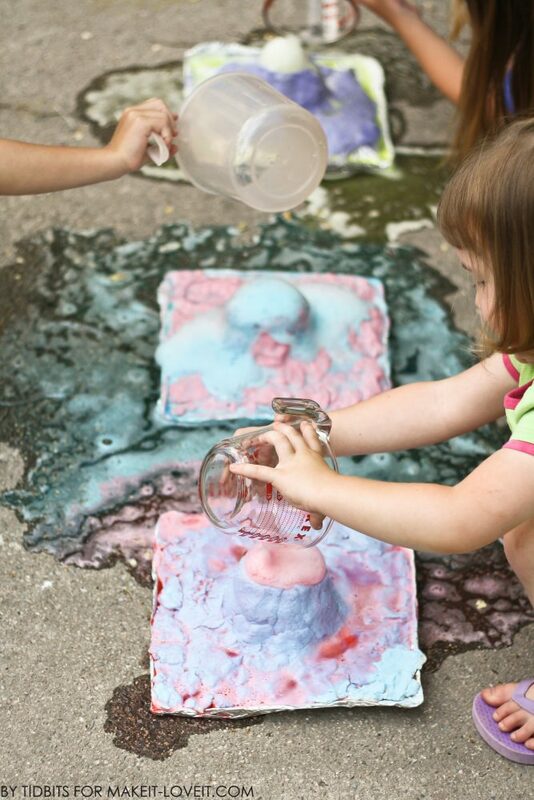 Then I drug my kids outside right before bed time and already in their pajama’s, to paint their volcano’s. We had a great time chatting and enjoying the cool summer night. Each child picked their favorite color and I had them stick with that. But you could just as easily give them many colors and see what they create. Once that paint is good and dry, it is time to see it explode!! My kids didn’t know what to expect and they were a little worried at this point. Ha! Needless to say, we didn’t. We just mixed and watched it explode!! 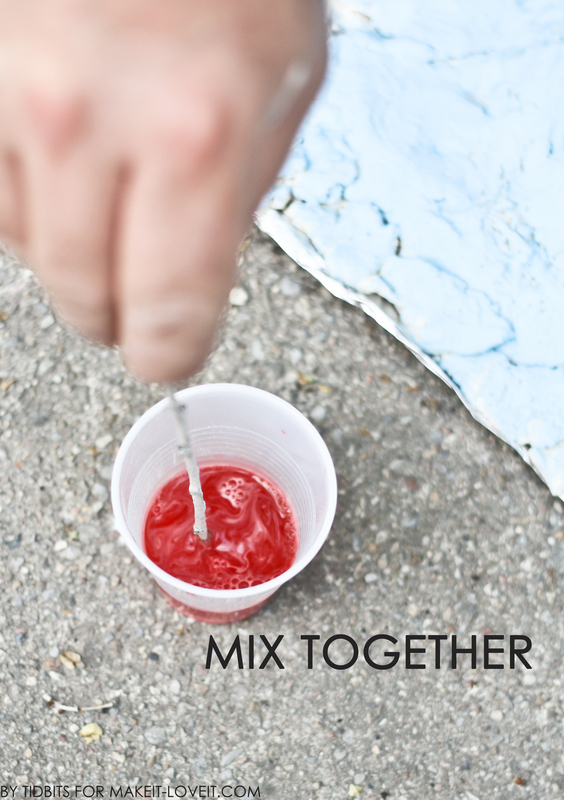 (I did this in a separate little cup so the kids could be the ones to pour it in). (Mix well, because the baking soda likes to settle on the bottom. Don’t ask me for the science behind all that either. Ha ha!). My girls just couldn’t get enough of this. And after they realized no one was going to loose any limbs by this explosion (ewe, sorry – way gross) they just kept going and going . 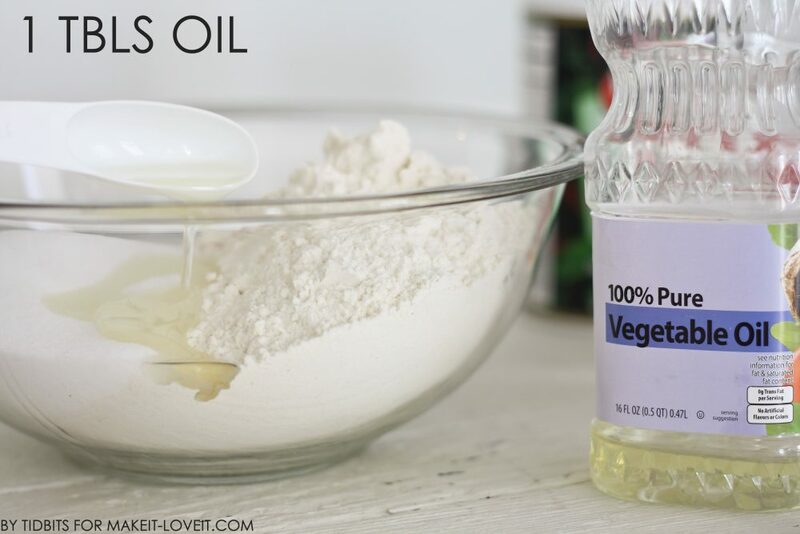 . .
……until I ran completely out of baking soda and vinegar. It was a blast. 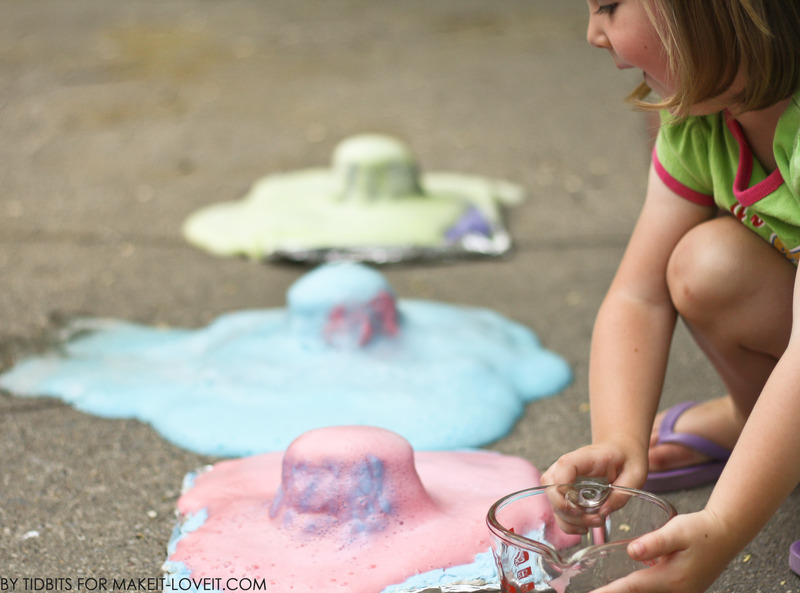 Below is the volcano activity printable, just in case you haven’t had enough volcano fun!!! Now, go and enjoy your volcanoes and let me know how they turn out for you! 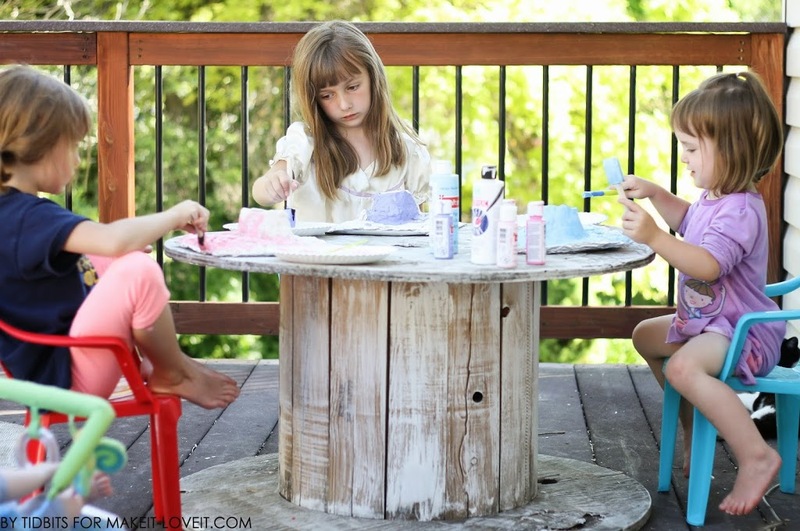 Your kids are too cute- great project! Ya, I kinda think so too! Thanks!! You know what – it probably would be. I totally get that. 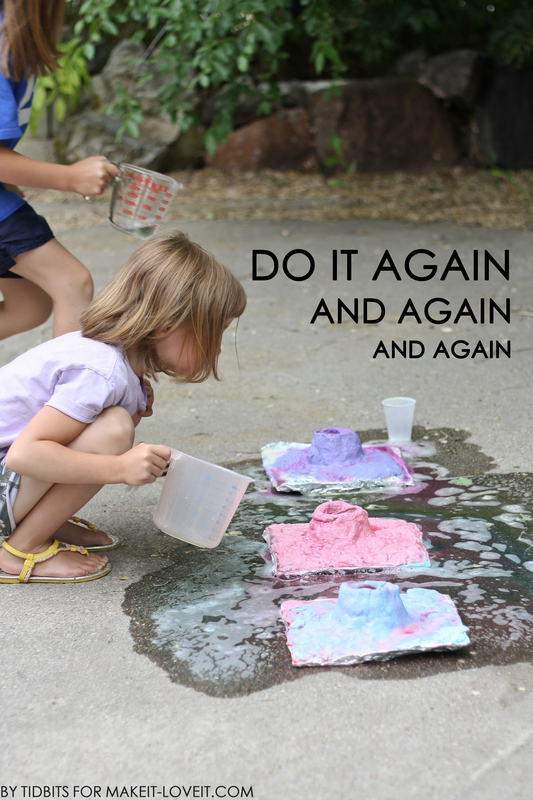 With a 3 year old it is best to keep it simple. Pin it for a few years down the road!! Sorry. I’m a grandmother of a 3 year old and a nine month old and I can’t wait to start. Never to young or too old! Excellent tutorial and super demonstrators. What fun! Love that you keep the fun going for 3days!! 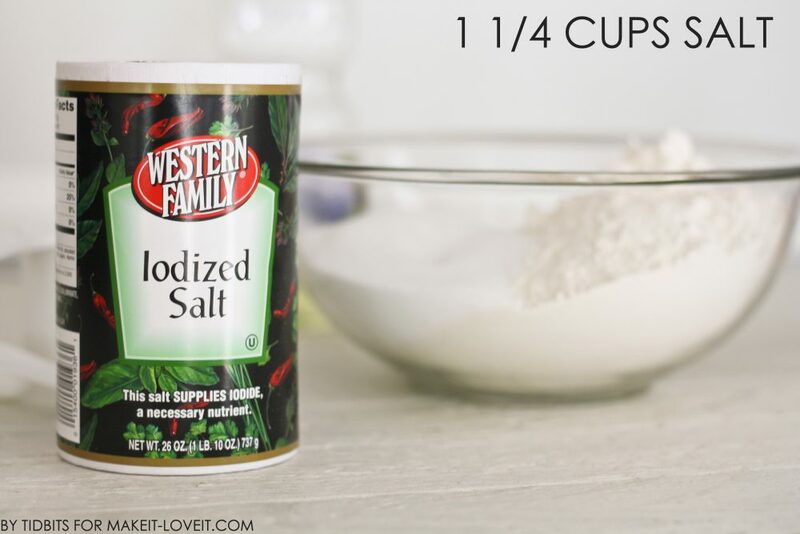 I’ve got a 7,5 and 3yo who will love this! Thanks for the in depth post & how to! I hear ya! My kids ask to make something every day and it was great to know before they slammed me with the question (for 3 days at least). And it sounds like your hands are as full as mine!! 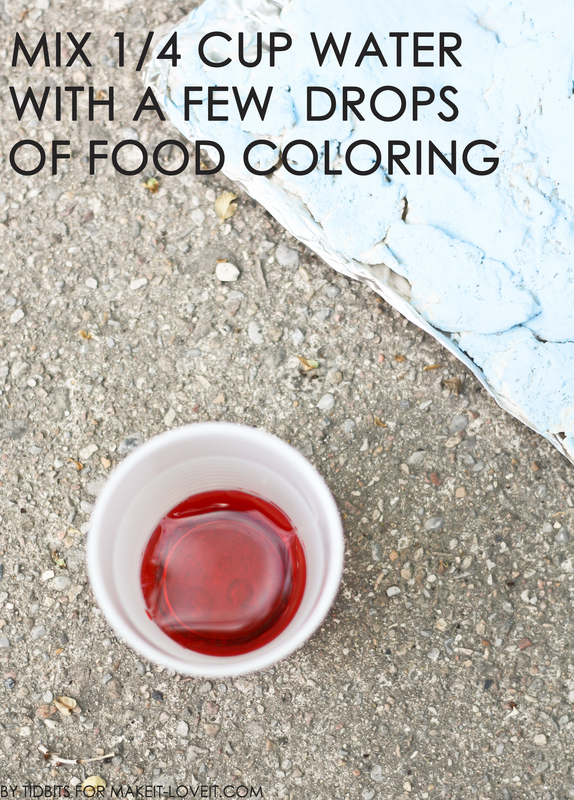 You could also add food coloring to the dough if you wanted to avoid the step of painting. 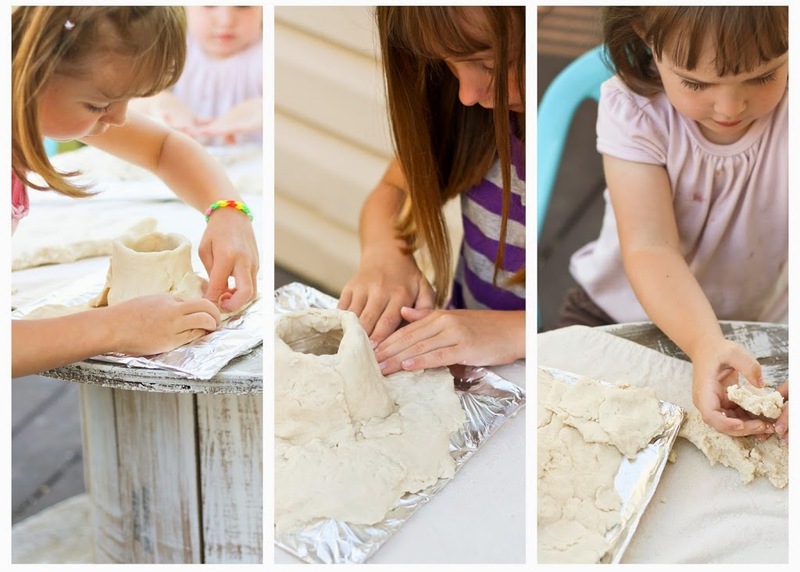 we did this with my 3.5 year old and her friend but hacked it to make it easier..what we did was to use an empty play doh container and use playdoh to form the volcano. 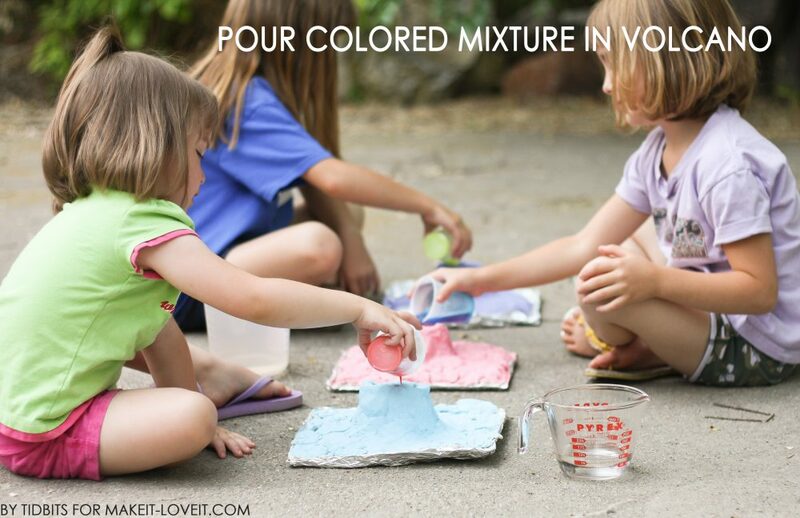 M y daughter and her friend had a blast making color coordinated lava with their ‘rainbow playdoh’ volcanoes! 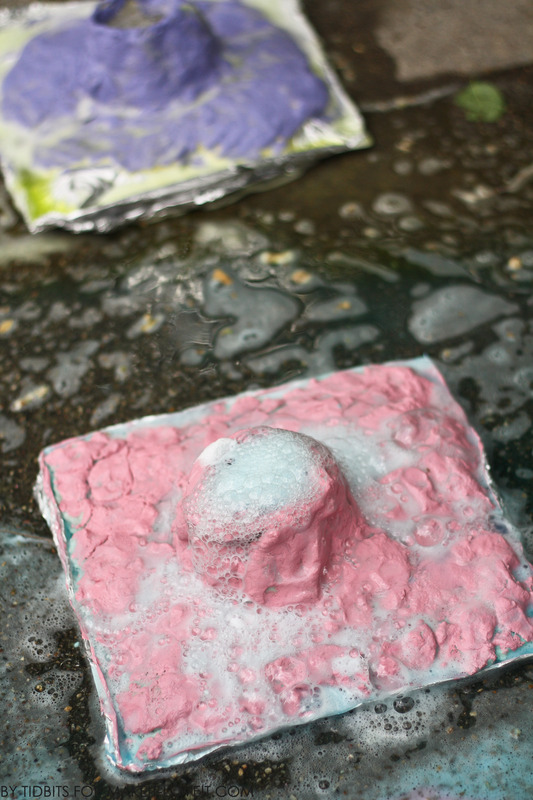 My kids volcanos are currently drying! I can’t wait to get to the rest, great tutorial!